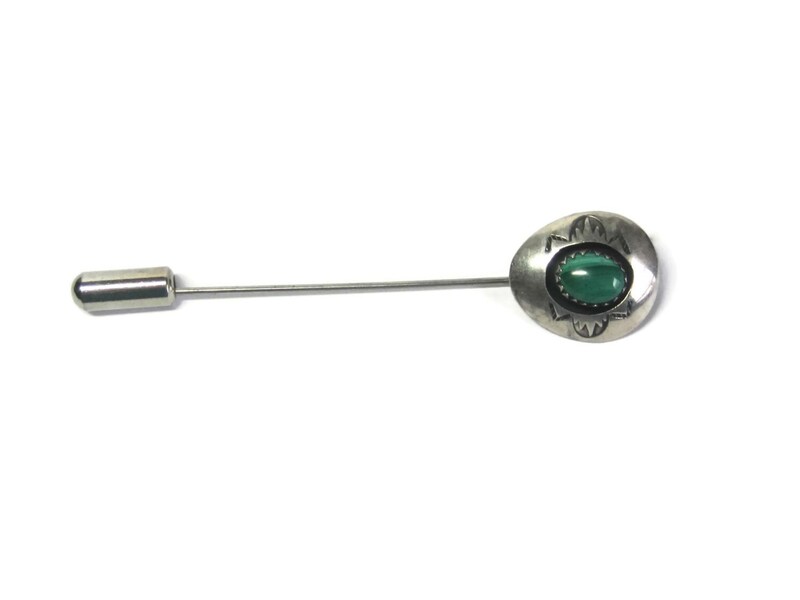 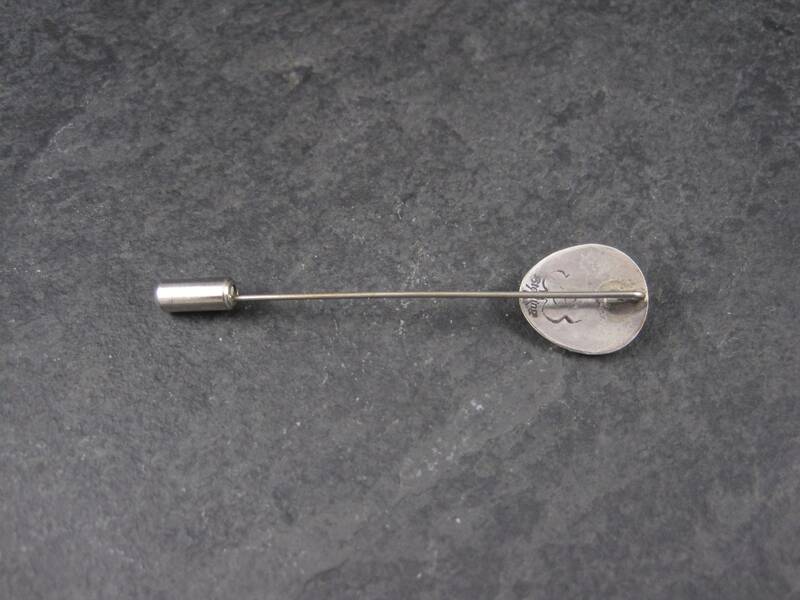 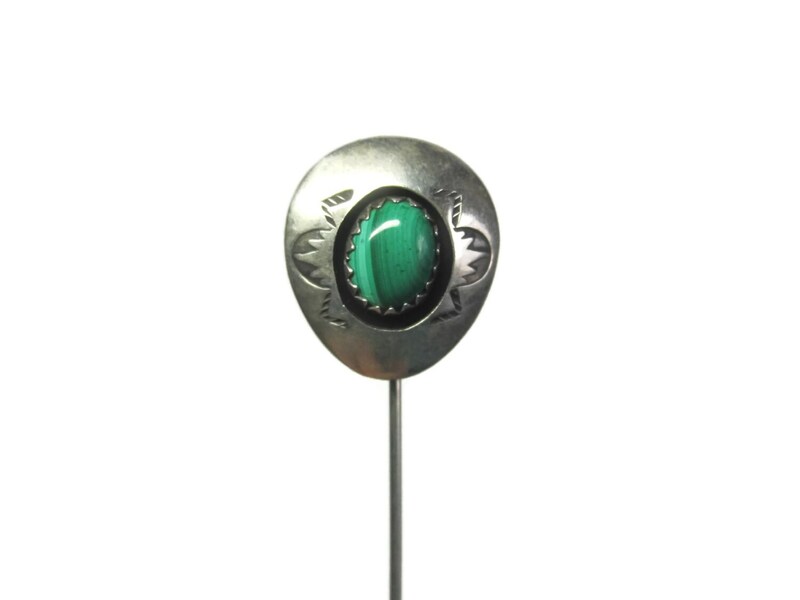 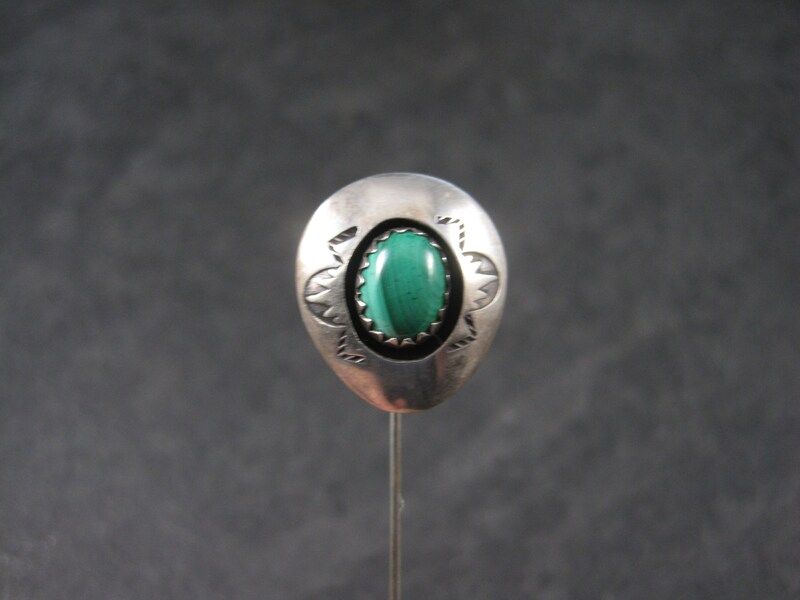 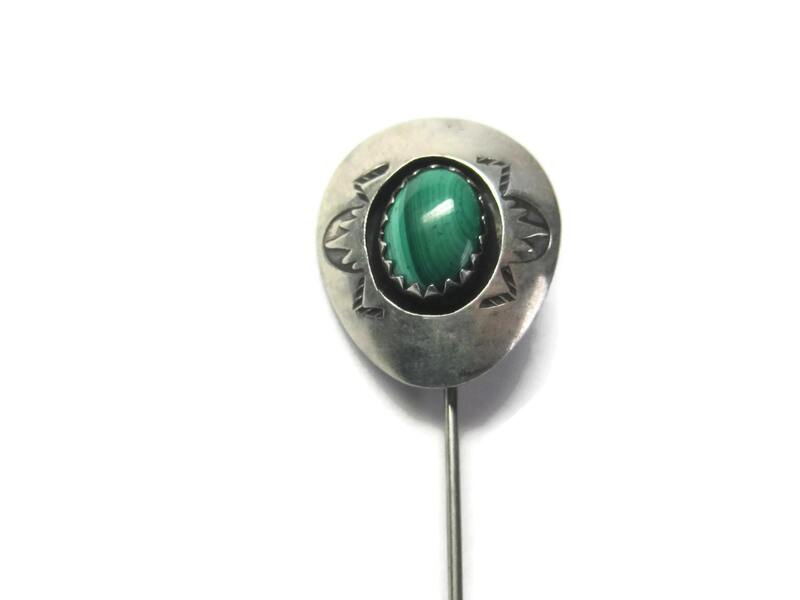 This beautiful Navajo stick pin is sterling silver. 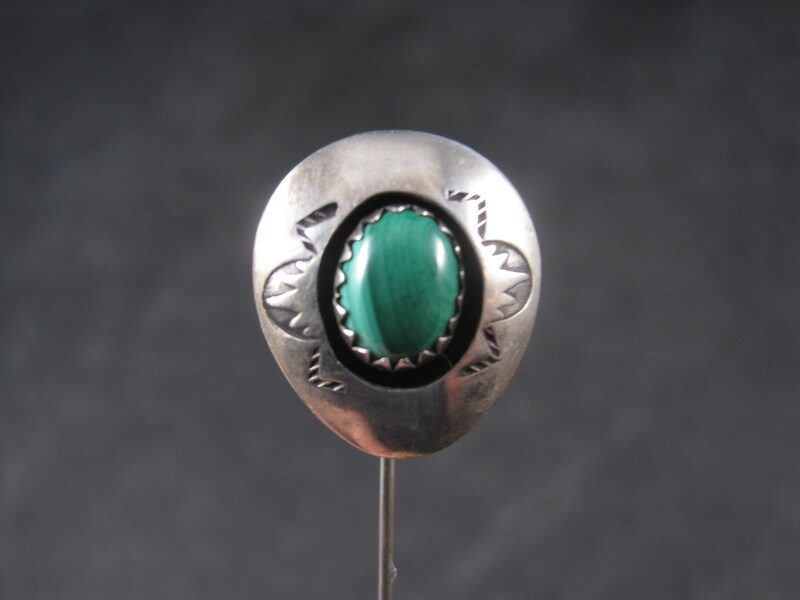 It features a genuine oval malachite gemstone. 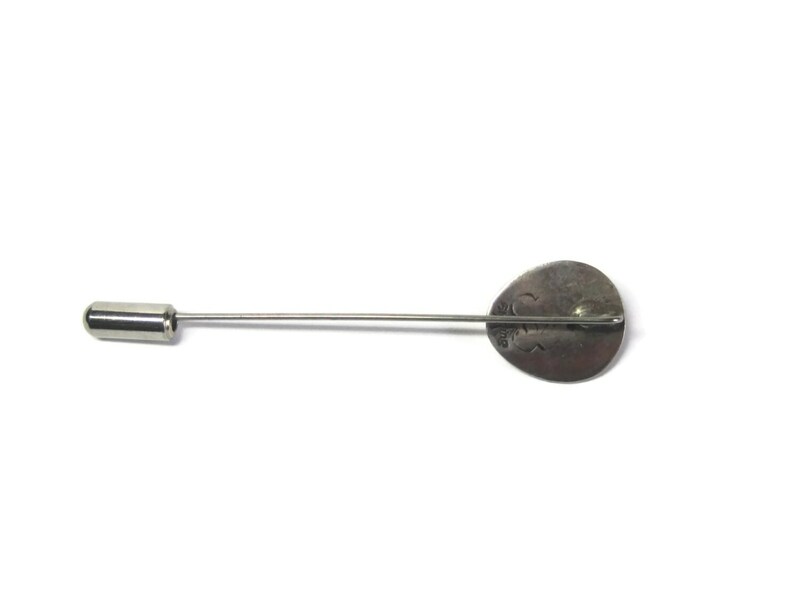 The face of this pin measures 5/8 by 11/16ths. 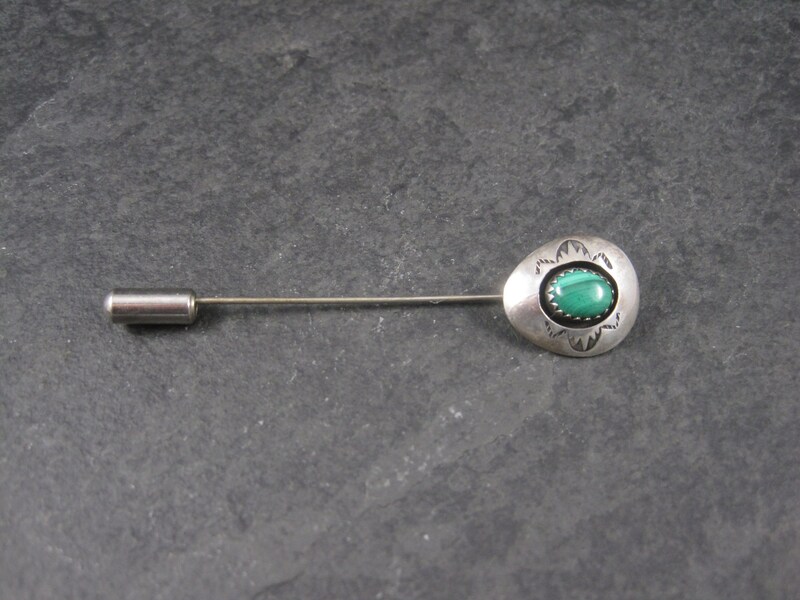 The pin is 2 3/4 inches.